In modern media, West Virginians are frequently misrepresented. As a native of the Mountain State, it is the sole mission of my master's capstone project, entitled Vandalia, to accurately portray my culture and capture the essence of the contemporary Appalachian identity. Through Vandalia, I explore the shifting physical and sociological landscapes of the Mountain State and the elements that shape our collective experiences. 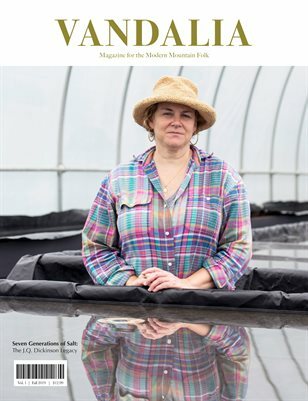 This issue, produced for my master's capstone at Ohio University, recognizes five West Virginians who go above and beyond for the betterment of the state, embody traditional values of self-sufficiency and care for their fellow mountain folk.